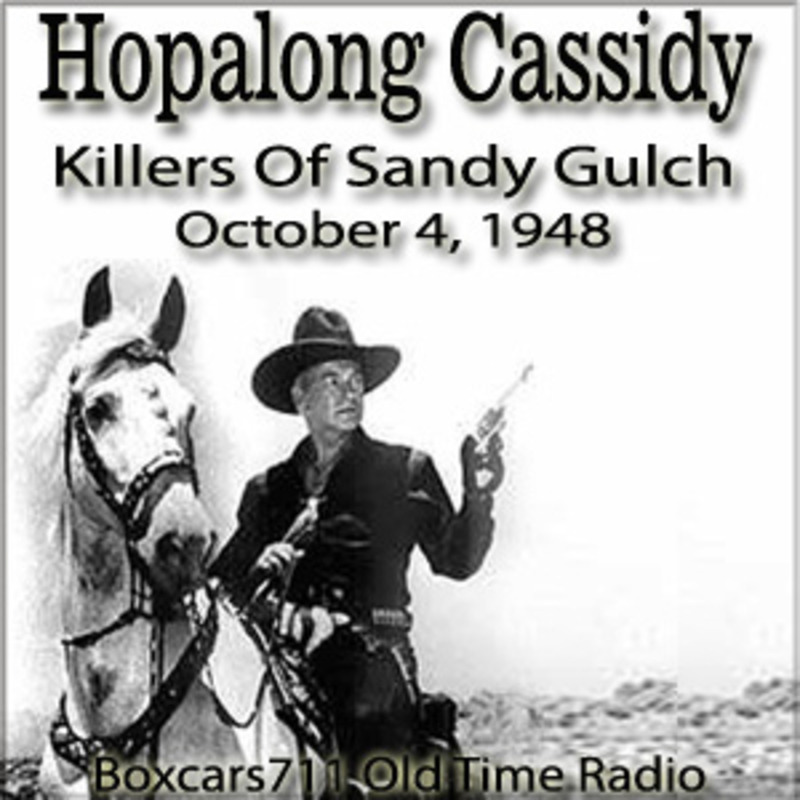 Boxcars711 Overnight Western "Hopalong Cassidy" - Killers Of Sandy Gulch (Aired October 4, 1948) The enormous success of the television series made Boyd a star. The Mutual Broadcasting System began broadcasting a radio version of Hopalong Cassidy, with Andy Clyde (later George McMichael on Walter Brennan's ABC sitcom The Real McCoys) as the sidekick, in January 1950; at the end of September, the show moved to CBS Radio, where it ran into 1952. Hopalong Cassidy also appeared on the cover of national magazines, such as Look, Life, and Time. Boyd earned millions as Hopalong ($800,000 in 1950 alone), mostly from merchandise licensing and endorsement deals. In 1950, Hopalong Cassidy was featured on the first lunch box to bear an image, causing sales for Aladdin Industries to jump from 50,000 units to 600,000 units in just one year. THIS EPISODE: October 4, 1948. Program #15. Commodore syndication. "Killers Of Sandy Gulch". Commercials added locally. William Taylor escapes after being convicted of murder and sentenced to be hanged. Hoppy's not so sure he's guilty! William Boyd, Andy Clyde, Howard Swart (writer), Walter White Jr. (producer, transcriber). 26:44. Episode Notes From The Radio Gold Index.